For me, the act of putting my games on a shelf really kicked things into high gear. 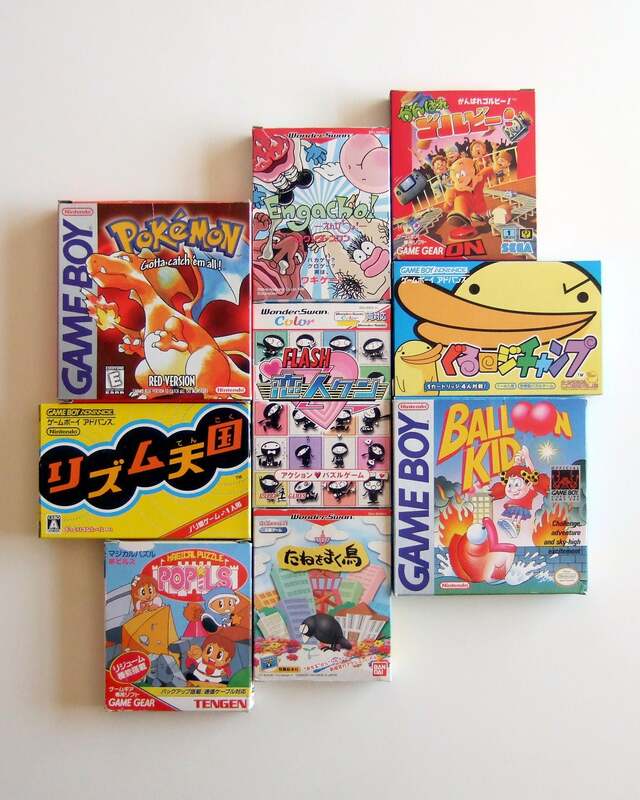 When you have games in boxes in the closet, all you think about is the games you have. 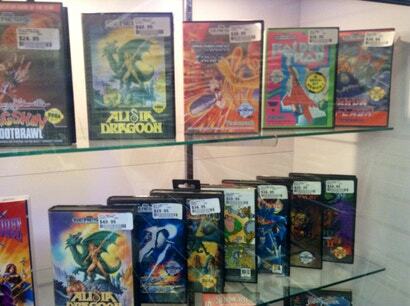 When you put them on a shelf, all you can see is the games you’re missing. How can you sleep at night when you’re staring at Ikari Warriors and Ikari Warriors III and an empty space between them where Ikari Warriors II should go? By this point, you have realised you already are a video game collector, and you’d like some advice on how to amass a library of games more efficiently. Here’s a list of general tips to kick off what will eventually be a multi-part series about the whole spectrum of collecting. There’s got to be a reason you got into collecting in the first place, right? Fond memories of Mario 3? Remember reading about TurboGrafx in Electronic Gaming Monthly but never got one for Christmas, and now you want to rectify that with all your adult money? Fascinated with the weirdness of the CD-i? The 3DO? The Jaguar? Just start by buying that stuff, regardless of whether or not it fits neatly into a category. There will be plenty of time to narrow down the scope of your search later, should you so choose, but buying what you like means you won’t be spending money on things you don’t want just because they fit into a category. It also lets you get some collecting experience while finding the things you most want. Other than this, I have no interest in telling you — nor should you let anyone else tell you — what you should buy. Buy what makes you happy, and only spend what you can afford to lose. The trick is to find what you want while saving money and not getting snookered by fakes. You’ll absorb some knowledge simply through the act of collecting, but if you really want to do it right, you’ll have to spend time studying. Unlike your future collection, research is free, and there are a lot of places to find the information you need. For example, you might head over to eBay and search for “Dreamcast” in the Video Games category, limit the search to sold listings, and then organise the results by price from highest to lowest. There, now you’ve got a real-time look at what Dreamcast games are going for the most money, these days. This isn’t a perfect list, but it’s a good start, and you might see things that surprise you. Sites like Pricecharting or GameValueNow can also be good resources for looking up game values, although they have their limits. The oft-cited Pricecharting gives you an average of many online sold listings for a single item, but this is often mistaken for being the price that any given copy of that game “should” sell for. Not true — a game in better condition might beat the average, and a worse one might never hit that price. Building up a knowledge base about game collecting isn’t something you can do in a day, but it’s the single most important way to get deals and save money—to avoid spending too much on something, and also to know when to grab something immediately before somebody realises the same thing you do. It’s hard to find video games out there in the wild, but you have an advantage: Your friends, family, and coworkers. Make sure that everyone you know knows that you’re actively looking for video games. Maybe they’ve got some in the attic. Maybe they have a friend who does. Maybe they come across a big box of games for twenty bucks at a yard sale, and instead of just leaving it there, they send you a text asking if they should grab it for you. But for that to happen, you have to tell them. While you certainly don’t want to be annoying about it, you shouldn’t expect your friends and family to know about your hobby purely through osmosis. 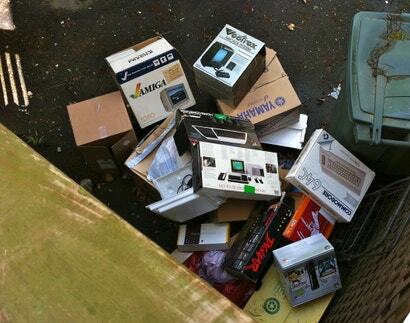 I’ve had people who’ve liked my tweets about whatever new game I just bought, or who’ve been to my house and seen the room full of floor-to-ceiling shelves of games, and yet I’ll hear from them later that they dumped off a big box of stuff in an e-waste bin, and been surprised by my dismay: Oh, you would have wanted those? Yes. So make sure to actually use your words. If the topic comes up, say, “Yeah, so if you ever come across any kind of old video games, I want them!” Make Facebook posts reminding your circle that if they find games, you want them. Telling the people you know is one kind of networking; another sort is finding the folks in your area who also collect. It’s likely there’s a Facebook group for your local area, but people might communicate on other sites, or they might have local trading events at video game or hobbyist stores (or elsewhere) that aren’t advertised to the general public. Your local community can be a good source of in-person deals and trades, but they can also alert you to all the unlisted and unofficial events that are going on, deals that they passed on but might interest you, good flea markets, etcetera. 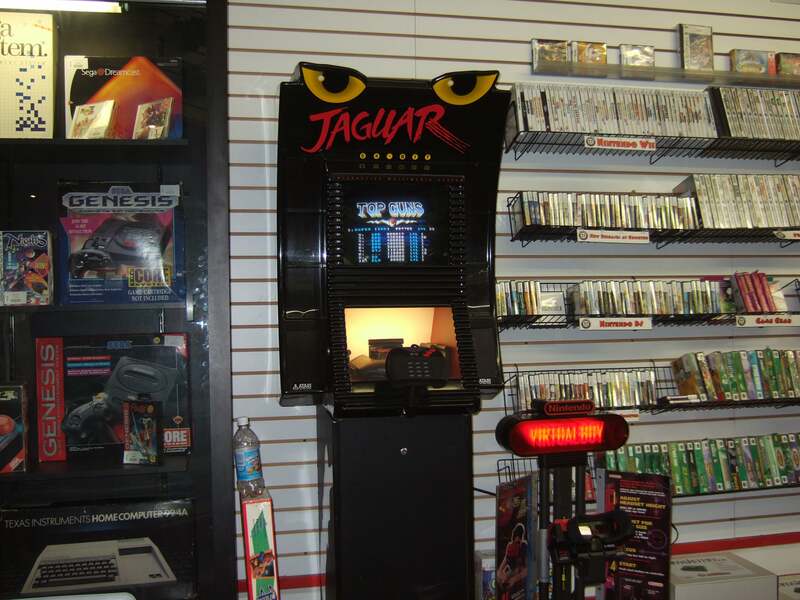 It’s also often the case that the folks who run your local game stores will join these groups and participate in them, so now you can expand your network to the owners of game stores, who have a great deal of information about the local market. Best place for what? For everything: For buying, for selling, for trading, for meeting people in your community, for getting to know the stores and sellers, for educating yourself about prices and rarity, for scoring sweet deals, for learning how to haggle on prices, for meeting other collectors in your local area… for everything. It used to be there was only one classic gaming expo, and it was called Classic Gaming Expo, and if you didn’t want to fly to Vegas, you had no other event to attend. Today there are dozens of these events taking place all around the world, from massive ones that are often worth the trip, to tiny ones in your own backyard. Look into your local scene first, but don’t be afraid to broaden it out. 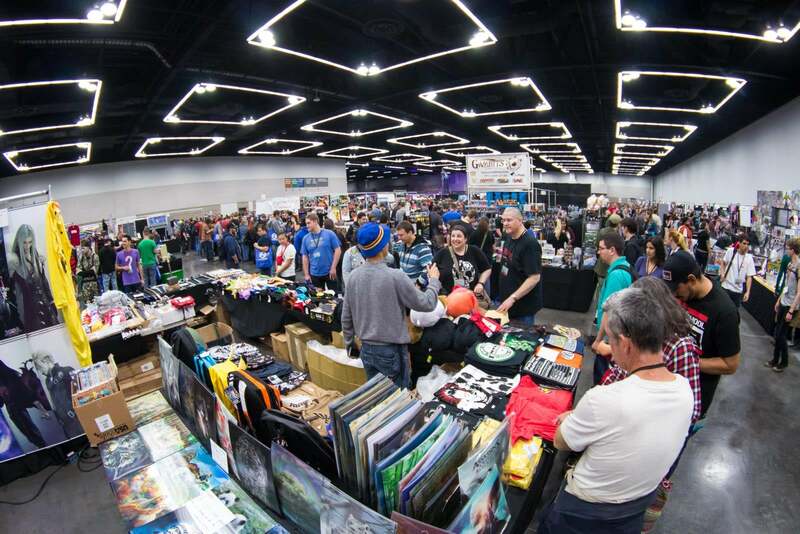 The sheer number of games you’ll find at cons, from all kinds of sellers, means they tend to be great places to add stuff to your collection while also meeting other members of the collecting community. You are going to find yourself in many situations where you can, or even will be expected to, negotiate over the price of something. The first thing I always find myself needing to tell people about haggling is that it is ok to do it. I have found that many people do not haggle because they think that the act itself is somehow inappropriate, or rude, or that it’s impossible for, say, a seller at a convention or a gaming store to change the marked price. It is certainly true that you can haggle in a way that is perceived as rude, but it’s much easier to haggle with a smile and polite language. Don’t forget the “thank you!” whether or not your offer is accepted, because either way, you’re taking up someone’s time and energy. As to the perceived “impossibility” of haggling: If you are talking to a person who has authority to change the price, you can haggle. I’m not saying that you’ll definitely be successful at it, I’m saying it’s possible, as long as you are speaking with someone who has final say over the price. That’s why you can’t haggle at Wal-Mart, why you should always haggle at a yard sale, and why everything else lies somewhere in between. I often hear people talking about how they built their entire collection “without eBay!” I wonder if they know that many things are actually cheaper on eBay than they are anywhere else. You should be using every resource you can to build your collection, because the prevailing prices of things vary wildly depending on the venue. For example, a common game like Super Mario Bros. 3 might cost quite a bit at your local store but cost half that price on eBay, even including the cost of shipping. But a game with less broad appeal that might reach a high eBay auction price could be selling for less at your local retail store, since only a few people around the country might be in the market for that game, and none of them (except you!) are able to go to your local store. The only way you’ll know about any of this, and be able to pick the right venue for buying what you want to buy, is if you’re looking at all of the options available to you. You needn’t make equal use of all of them, but you should know what the pros and cons are of each. Start entering in everything you get into some sort of database. There are plenty of custom apps (like Gameye) or websites (like Nintendo-Age) that offer methods for tracking your collection. As for me, I just use Google Sheets. If you make your own spreadsheet, you should probably have checkboxes so you’ll know at a glance if you have the box, instructions, and cartridge/disc. As you collect more, you’ll realise you might want to start upgrading the condition of your items. Is the box ripped? Is the manual missing a page? Put notes in the spreadsheet, so when you’re out shopping, you’ll have that information right at hand. It doesn’t seem necessary when you only have a few games and keep track of them in your head, but ask any collector who’s accidentally bought an extra copy of a game and they’ll tell you they wish they’d done better with their logs. There’s a certain strain of thought that I see in some parts of the online retro gaming scene that says it’s somehow morally wrong to buy a game for a dollar at a thrift store and sell it for $US100 ($140) on eBay. It is not. If you’d rather trade it to another collector, go for it. If you’d rather sell it to a friend at a big discount, feel free. But don’t let anyone tell you that you’re a bad person for selling your own property at its market value. We’re not talking about hoarding clean water in an emergency, here. They’re just collectibles. 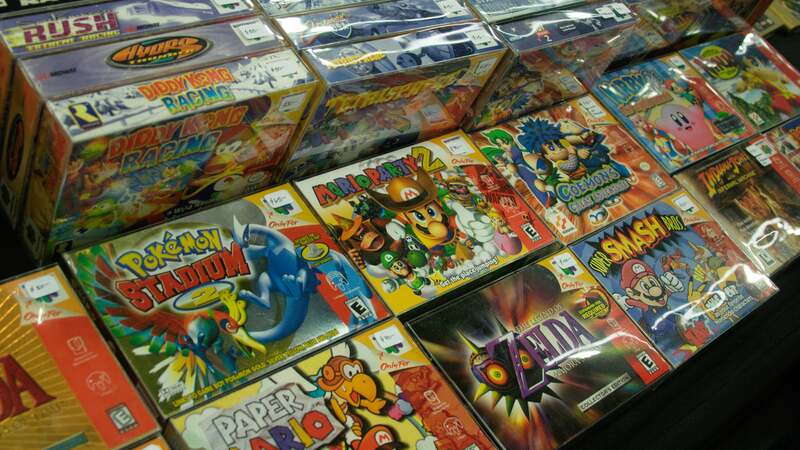 Another great way to save money, if you don’t mind spending some money up front and doing some work, is to buy larger lots of games, keep what you need, and sell what you don’t. You can often get much better deals by buying a large gaming lot, whether on eBay or in person, than you can buying things individually. Show me a person who says that their local area is “dry” or that they “never find anything,” and I’ll show you a person who’s spending a lot of time and energy on methods that don’t work. If you’ve been to your local Salvation Army once a week for the last six months and never so much as found a copy of Final Fantasy X-2, it’s time to stop going there. If you’re hitting your local flea market at 11 am every Sunday and seeing nothing, maybe it’s time to try getting there at 6 am and seeing if that changes your fortunes. Or maybe it’s time to stop showing up at your neighbours’ houses hoping that a magical treasure trove of games will appear, and start using Craigslist, or Facebook Marketplace, or good old eBay. There’s no reason to keep doing things that don’t pay dividends, and there are always other ways to find things. This will surely be an article all on its own, but when you’re getting started buying games, you’re going to want to be able to spot fakes. There are a lot of them out there, even for relatively inexpensive games. There are a lot of specific things to look out for, depending on the type of game. But there is one big, general tip I can give you about fake-spotting: Study games that you know to be authentic, and learn what they have in common. 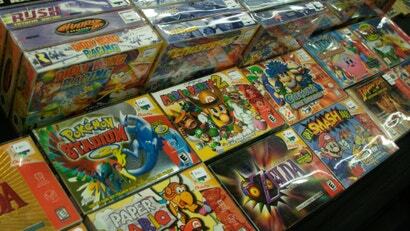 Look at others’ collections, look at the games on sale at conventions or stores. What does the plastic of the cartridge look like? How glossy are the labels? What other identifying marks do they share? You hear this often when an expert is on a show like Antiques Roadshow or Pawn Stars explaining why a particular item is a phony: “On an authentic piece, you’d see…” They don’t need to look at every fake item to know what a fake looks like. They simply have to know everything about what a real item looks like, and then they can be sure that anything that doesn’t fit into that category is a fake. I have, to this point, lightly touched on a lot of issues into which we can delve much deeper. Here’s a list of future entries in this series that I’m currently considering. Feel free to let me know in the comments what you’re most interested in hearing about, or if there are other topics you’d like me to tackle. I use the app My Game Collection and have forked out the $5 for the premium. Really good for tracking all game collecting items and the developer is active on Reddit for any bugs or adding features. Also one thing that you missed in this article is space. Make sure you have enough space to store and display your collection. Also when it comes to storage is it the right type of storage that will keep the item in good condition. This has always been my biggest issue as I always run out of space and forced to store items in places that arent the best for storing items (like inside your roof space). 1. Remove batteries after using items everytime!! Even if you think you will use it again that week. Dont cause yourself the heartache of going to grab that item to find that the batteries have leaked and ruined the entire item. 2. Use hair ties (or velcro straps) for wrapping up cables and controller cables. Nothing worse than grabbing an item out of storage to find the rubber band has melted to it and everything it was touching. 3. Collect when it excites you and your budget allows. Dont get yourself into financial trouble with your collecting as it is always more important to feed and house yourself than get that ultra rare item that you cant afford that week. I agree, great tips! Wish young me had've realized the first one with my gameboy, and the second one is definitely something I've never thought of. Might have to raid the lady's stash for some hair ties. Yep I've learnt the hard way a couple of times too. I also have an annual clean and battery removal day. This reminds me of what is where and if anything needs cleaning or reconditioning. As for hair ties I used to steal my wife's until she figured out where they were all going. Try cheap dollar stores and places like Priceline where you can buy in bulk 100 at a time. Really this is just a general guide to being a collector. One really important tip if you're collecting electronics is to make sure it hasn't been around someone that smokes. Cigarette smoke and electronics is generally a bad mix if you want to keep things in good nick. Also you should actually want to play the games you collect or else what's the point.